Curling Shingles. Your roof is constantly exposed to the elements, which can cause the shingles to curl over time. This provides an entry for leaks, which is why you need to have the affected shingles replaced promptly. 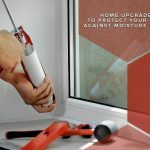 Depending on the extent of the curling, it could be anywhere within five years before you need to replace your roof. Missing Shingles. Harsh weather conditions can blow off some of your roof’s shingles, leaving the underlayment exposed. While it’s fine to replace a few missing shingles, remember that it’s difficult to get a new piece that matches the color of the old one. You can keep patching until a serious problem occurs. However, if your roof starts to appear like a checkerboard, it’s best to invest in a new one. Roof Age. Most roofing systems last up to 30 years. 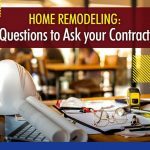 This depends on how many layers of shingles are installed and if the roof is adequately ventilated. 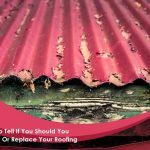 Even if your old roof appears to be in good shape from the ground, seek the help of an expert like Integrity Home Services to do a thorough inspection. 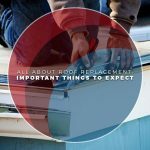 We have the proper skills, tools, and knowledge to evaluate your roof’s overall condition and recommend cost-effective solutions to uphold your protection throughout the seasons. Granules in the Gutters. Granules provide a layer of protection to your shingles against the UV rays. 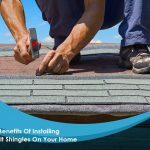 Once they wear out, your shingles will deteriorate faster. If you notice granule buildup in the gutters, it is a sign that your roof is already halfway through its life span. Sagging Roof. This implies a structural issue, which you need to address immediately before it causes extensive damage to your home. For instance, your roof might have a rotten sheathing or its beams are not properly secured. You can rely on Integrity Home Services to make the most of your roof replacement project. With our proven reputation and record, we can help you achieve lifelong protection and comfort for your home. Call us today at (203) 403-2111 to learn more about our products and services. You can also complete our contact form for a free estimate. We serve various areas in Connecticut, including Stratford, CT.